This is the Corsair NX500. 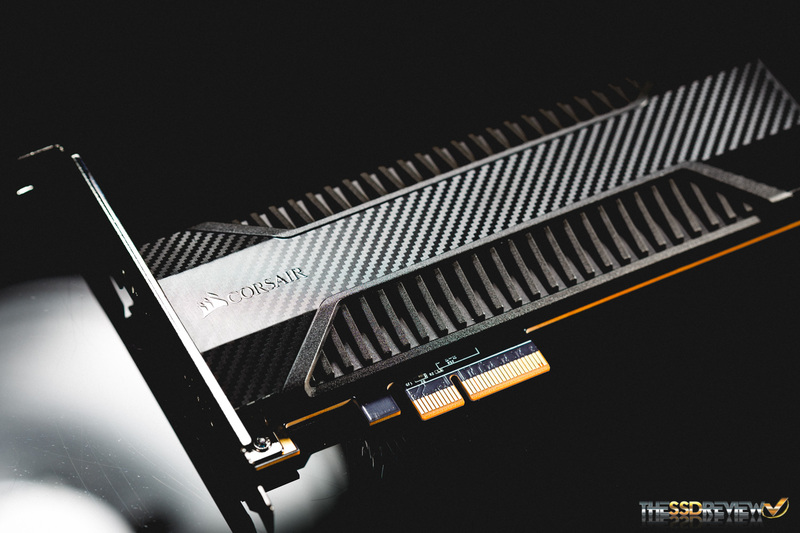 While it doesn’t come in a compact M.2 form factor, the NX500 is a PCIe NVMe SSD that boasts similar, and in some cases better, performance than the MP500 as well as higher endurance. How is this you may ask? It’s pretty simple actually. By over provisioning the SSD, or allocating less usable space to the end user, the SSD is able to have more scratch space, so to say, to utilize for background tasks such as garbage collection. With this added space for the controller to use, as well as a larger DRAM cache, heavy workload performance should improve and endurance should increase. Furthermore, the NX500 features a very large heat sink which, while could be over kill, adds a lot to its aesthetics and keeps the powerful Phison E7 controller cool. But with these refinements and enhancements, is it going to be a better buy for enthusiasts than everything else out there already? Do the improvements and aesthetics make it worth your while? Read on and find out! 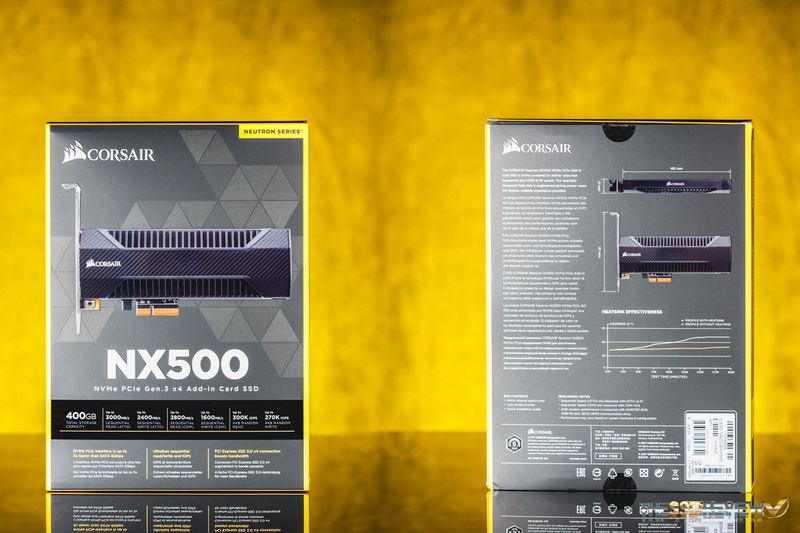 The Corsair Neutron Series NX500 comes in an HHHL AIC form factor and is available in capacities of 400GB ($319.99), 800GB ($649.99), and a 1.6TB version is to be expected soon. Performance is rated at up to 3GB/s read and 2.4GB/s write when utilizing ATTO and 2.8GB/s read and 1.6GB/s when utilizing Crystal Disk Mark for testing. 4K Random performance is rated for up to 300K/270K IOPS read/write. The endurance ratings for the 400GB and 800GB models are 698TBW and 1,396TBW respectively. Information regarding the expected 1.6TB model is not currently available. Furthermore, it has an MTBF rating of 2 million hours and an operating temperature range of 0-70C. Idle power consumption is rated at 0.50W, read at 5.57W, and write at 7.27W. It supports TRIM, Secure Erase, thermal throttling and features SMART support that works with Corsair’s SSD Toolbox as well as third party applications. SmartECC, SmartRefresh, and SmartFlush are all features of the Phison controller and help to ensure stability and reliability. Finally, the NX500’s warranty is longer than that of the MP500. It is covered for 5-years with dedicated support from their world class support team. The NX500’s packaging is grade A. The graphical design, colors, and easily read information earn high regard in our opinion. Everything is clean and well organized. All the information you want to know about the product is there. Size, performance, form factor, and to top things off, it is well protected inside. 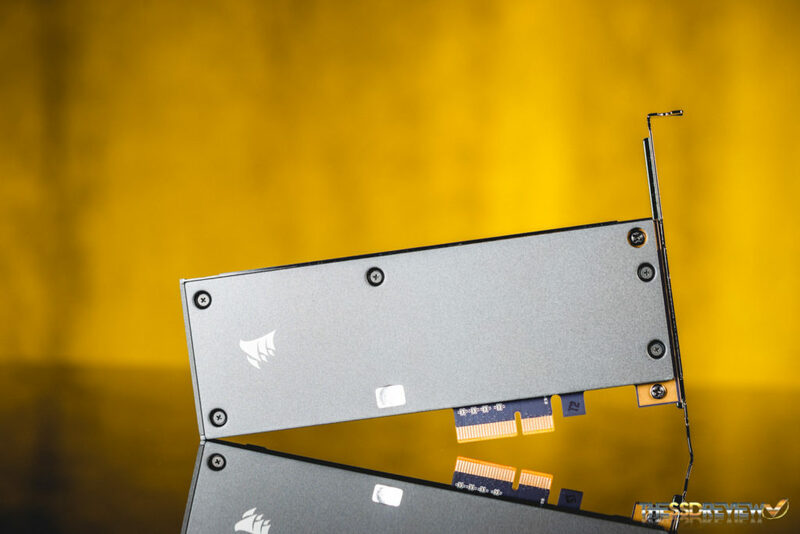 Once out of the package, this PCIe NVMe SSD stands out from most with its unique heatsink design. The carbon fiber layer over the fins makes this a perfect match for those who also like carbon fiber wrapping their components, cases, or anything else. Being a car guy, I have been wondering when a company would be going to do this for a while now and am glad Corsair finally took the step to do it. Additionally, Corsair has thrown on a back-side plate as well to further aid in the SSD’s appearance. Honestly, who actually likes to see the components of a graphics card or SSD when they focus on looks in their custom-built PC? Something so little can go a long way. 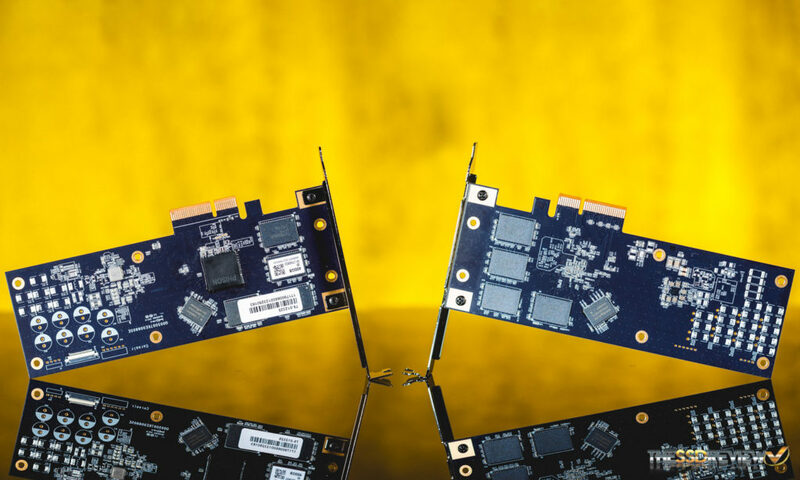 Once disassembled we can see that in contrast to its M.2 form factor brother, the MP500, or most other PCIe NVMe SSDs nowadays. The NX500 hosts its components across its HHHL PCB and isn’t just an M.2 SSD with a PCIe adapter. Our 400GB sample has eight NAND packages in total and two DRAM chips. The 64GiB 15nm Toggle MLC packages have a total capacity of 512GiB, but with over provisioning, the NX500’s usable capacity is 372GB. The DDR3 DRAM cache capacity is twice that of the raw value in MBs. The 400GB model features 1GB of DRAM while the 800GB model features 2GB. In theory, this should help to improve performance, but we will see about that when we put it to the test next. 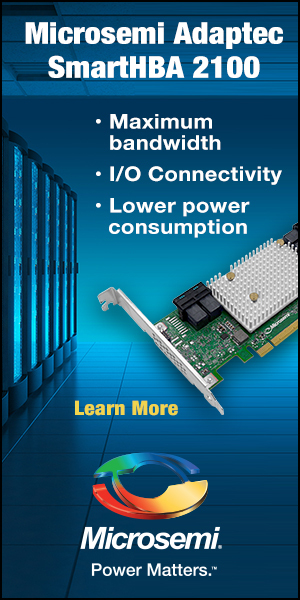 Finally, if you have forgotten from my mentioning earlier, the NX500 features Phison’s E7 PCIe controller. This controller has been very popular for manufacturers who don’t want to invest much into building a drive from scratch, but rather take a turn-key design and make it their own. 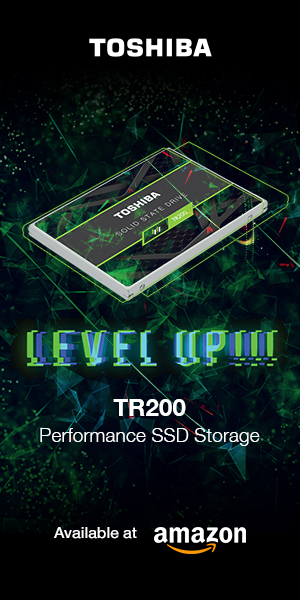 If past products have any indication of the performance this SSD will deliver, we shouldn’t be disappointed. Continue reading on and take a look for yourself. 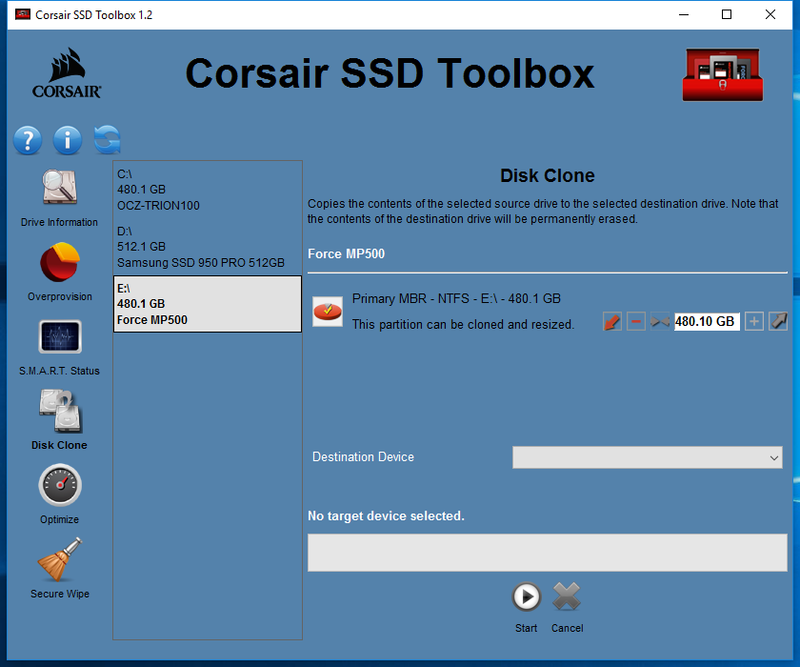 Decent bit of kit,but the Corsair tax kills it…………………….. I think you are being too kind. An extra $100 for a 400GB drive that performs in the middle of the pack is closer to extortion than a tax. Seriously, for $210 you can buy a BPX 480GB drive or similar with a cheap heatsink and for the extra $100 saved buy a decent hard drive for archiving needs. Guys could it be possible to have a dropDown in the reviews so you know where to go (with article sections like other websites do) instead of clicking through the pages to find crystalMark tests for example ? I concur. The BPX is still a much better value and as you stated. You can get some cheap heat sinks to keep the controller nice and cool for a much cheaper price. It is one of my favorites out atm. It just isnt as good looking at something such as this, NX500, which to some people, matters more. 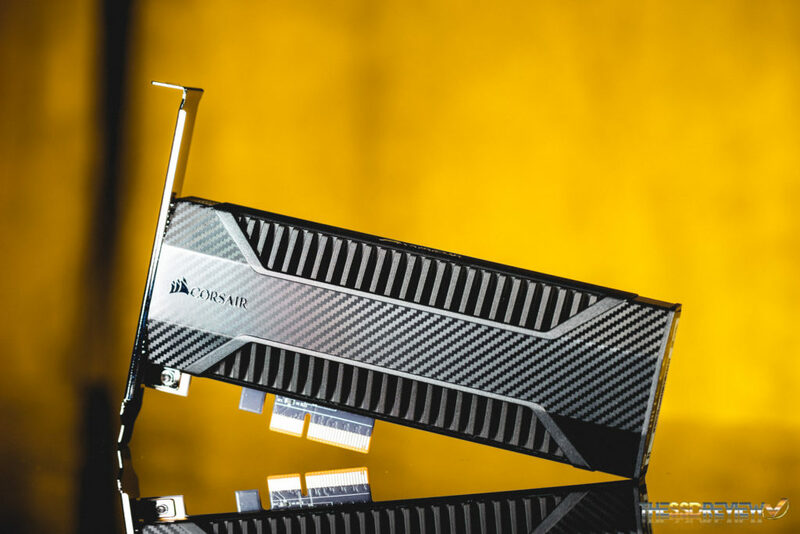 “Furthermore, with no significant performance increase, as seen in our multiple benchmark results, it is hard to quantify performance as a value proposition for this over other E7 SSDs. So you mean it has looks? The performance it delivers is still very good…more performance than what most will ever need. Whoever buys it will simply be focused more on the brand or looks rather than top performance.